Nokia’s first Android phone the Nokia X is now available in Nigeria. 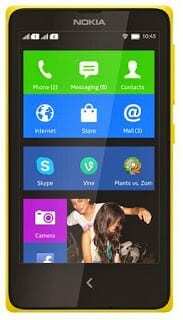 You can buy Nokia X online at reputable online stores in Nigeria. The smartphone runs on Nokia X software platform, which is a forked version of Android based on the Android Open Source Project (AOSP) supporting up to 75% of current Android apps. Nokia X brings the Nokia and Microsoft experience to Android. 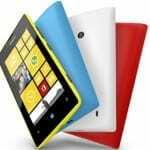 It features a Windows Phone like UI and ditches Google’s services for services from Nokia and Microsoft. It does not support the Google Play store, instead Nokia will offer its own store with all supported Android apps. Microsoft’s OneDrive will be the default cloud storage service (ditching Google Drive), while Nokia’s Here Maps will be the default mapping app. Nokia X offers 1 month free worldwide calls on Skype to both mobile and land lines if you download the Skype gift app at the Nokia X store. 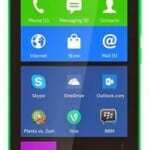 BlackBerry has also announced that BBM will be coming to Nokia X later this year. Nokia X features a 4.0-inch display with 480 x 800 pixels resolution. It features a rear camera with 3 megapixels resolution. Nokia X features fast internet with support for 3G and Wi-Fi. The battery life is also awesome for an entry level phone with up to 10.5 hours talktime. Nokia X is available in Cyan, Yellow, Black, White, Bright Green, Bright Red colours (all colours may not be available in Nigeria) and comes with 4GB memory card included with support for up to 32GB memory card capacity. You can now buy Nokia X online or at a phone store near you. If you are wondering the features of this smartphone, read our Nokia X article. Nokia X price in Nigeria currently ranges from N19,500 to N23,000.